After my presentation in VMworld this August, I continued to improve the REST APIs. It’s finally made available for generic public today. Compared with other alternatives, the REST APIs we have created stands out in two keywords: complete and many. Let me cover it one by one. 1. Complete. The DoubleCloud REST API provides complete API set as the SOAP based vSphere APIs. Each managed object type maps to a resource in our REST APIs. If you already know the vSphere APIs, the learning curve is zero. If you don’t know vSphere APIs, you can still easily get your hands dirty with the built-in Web application based on the open source Swagger tool. 2. Many. The REST APIs server supports many vCenter and ESXi servers at a time. 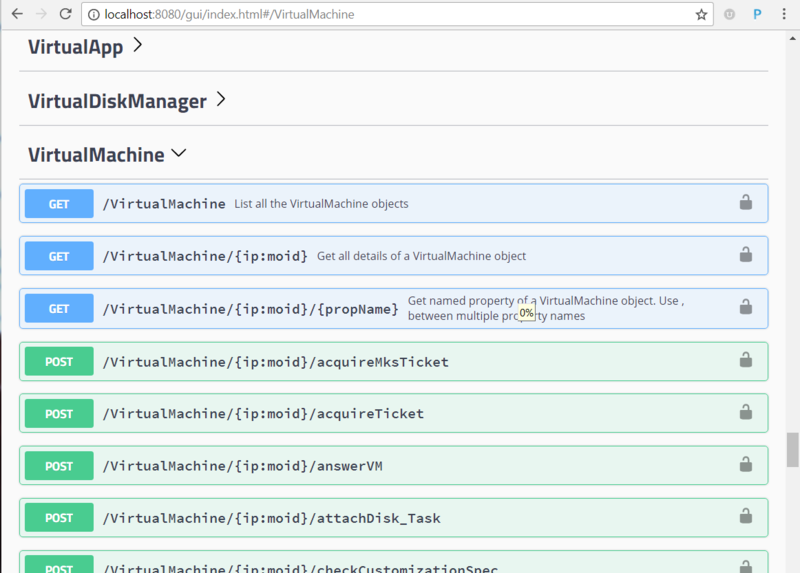 In fact, the REST API design has multi vCenter support from the very beginning, and each resource has vCenter prefix. To get started, it’s very easy. You can download the vimrest-1.0.jar from company site: http://www.doublecloud.net/downloads.php. After it’s downloaded, you can simply click on the jar file to run the server. By default, the server runs on port 8080 with access/scret key as admin and doublecloud. Upon successful launch of the server, the web GUI tool opens up in your browser automatically. From there, you can have a live testing of the APIs. If you want to run a different machine, you can copy the jar file and run the above command. While the server runs as standalone application, it can be embedded into your own Java application. Should you be interested in that use case, please feel free to contact me.